Looking for a unique souvenir or maybe a gift for a friend back home or some jewelry? Then Sunset Beach has you covered! 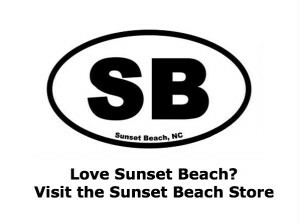 Sunset Beach has great local gift shops with everything from beach items, bookstores, small boutiques, great clothing stores and great art and gift stores too! Here are some listing to check out next time you’re in town! Islands Art and Bookstore features an extensive collection of works by premier local artists and photographic prints at affordable prices. All Giclee’ prints are of the highest quality using archival inks and the highest quality materials. You’ll find a wide selection of high quality Giclée Prints by local artists: Miller Pope and renowned nature photographer Ken Buckner. Also romance and mystery novels by writers Jacqueline DeGroot, Tom Rieber and others. Islands Art and Bookstore also offers a selection of books by the area’s best writers and illustrators. Located: In Beach Drive Center at 6885 Beach Drive (Hwy 179) between the islands of Sunset Beach, NC and Ocean Isle Beach, NC. Islands Art and Bookstore features Beautiful Handmade Sea Glass Jewelry. The coastal islands of the area have long been a magnet to artists and writers who discover the beauty and romance of the area and decide to put down roots. All books, photographic prints, original art works and Giclee’ prints are by artists and writers who live here or write about the area. We carry best selling hard backs, trade and mass market paperbacks, used books, children’s books, local authors, jigsaw puzzles and greeting cards. 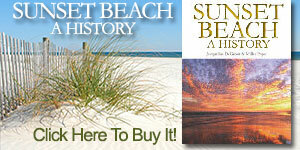 We even have maps of Sunset Beach NC and the surrounding areas! 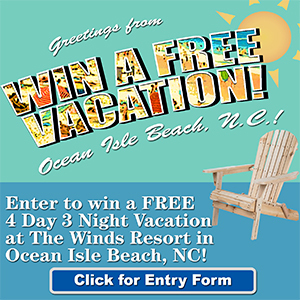 Stop by and you can also: Buy an NC Lottery Ticket, Ship via UPS, Use a Fax Machine, Use Wi-fi, Make copies. If we don’t have the book you’re looking for we also do special book orders which can be in store in just a few days time. Pelican Bookstore is located in Village at Sunset Beach, 1780-10B Chandler’s Lane, Sunset Beach NC 28468.